Sleaford Cricket Club First XI skipper Tom Shorthouse is predicting an exciting season for the club as the new Lincs ECB Premier Division kick-off on Saturday. The First XI, sponsored by Baker Plant Hire, spent most of their 2018 campaign in the top three of the county’s top tier before eventually settling for a third-place finish behind Grantham and champions Bracebridge Heath. 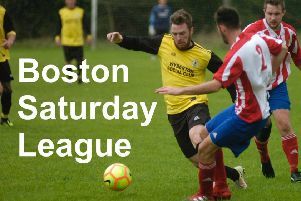 This weekend they renew league rivalries at Bourne with a noon start at Abbey Lawns. “I have spoken before about the young talent at the club and this is the year we should start to see these players take a more senior role within the sides,” Shorthouse said. “Over the winter we have had a lot of new players come into the club, that will represent Sleaford throughout all five teams. “I believe the influx of players that have come into the club, without us actively going out to recruit, shows that the club is in a very healthy position and it is a desirable place to play cricket. The skipper added: “From a first team point of view, the league is very open this year and I would be disappointed if we aren’t challenging for the title throughout the season. One area where Sleaford have actively recruited is the signing an experienced Sri Lankan international Chamara Kapugedera as their overseas professional for the 2019 season. “I’m looking forward to seeing him perform and how his knowledge of the game can help our younger players develop.” Shorthouse said. Sleaford played their final pre-season warm-up game on Saturday when they hosted Lancashire side hosted Euxton. The hosts batted first and made 218-5 in their 40 overs, with Andy Hibberd retiring on 53 and Conor Harbron also retiring on 52. Their half-centuries were supported by Matthew Wing who made 29 and David Newman (21). In reply, Euxton were bowled out for 150, with Drew Harbron taking an outstanding 5 for 24, supported by Scott Tite (2 for 12) as Sleaford completed a 66-run win. * The following day, Sleaford’s Sunday XI hosted Revesby in their second warm-up game of the season. Sleaford batted first and made 190-7 from 40 overs, with Drew Harbron top-scoring on 62. Momentum was kept up with 33 from Neil Henderson and 28 from Patrick Hobson. In reply, Revesby were 140 all out, with Patrick Hobson claiming an excellent 5 for 29, and Harbron 2 for 28 as Sleaford won by 50 runs. The club would like to thank the umpires and scorers in both matches. * Sleaford CC’s Second XI host Bourne CC in their opening game of the South Lincs and Border League season on Saturday. Play starts at 1pm.